As you've probably guessed by now; I'm an avid fan of chicken but it can get boring which is why I tend to explore different ingredients and flavouring to keep everything just that little bit more interesting. I've been eating curried foods for as long as I can remember, partially because my mother has always loved Indian food to the point where she learnt how to make some of their dishes at home. That's how this recipe came about, keeping things simple. This is one of the easiest things you'll ever make. These curried chicken drumsticks are delicious; they are juicy and flavour-packed which can only make them a winner in my book. 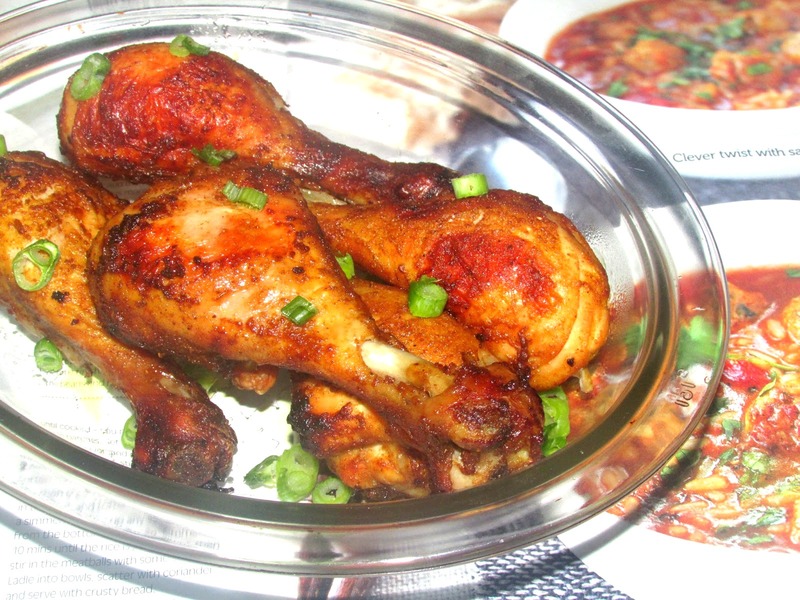 Here is how you can master these aromatic, drool worthy grilled curry chicken drumsticks. Happy Saturday! We made it through another busy week and I'm feeling rather grateful for all the good things in my life. 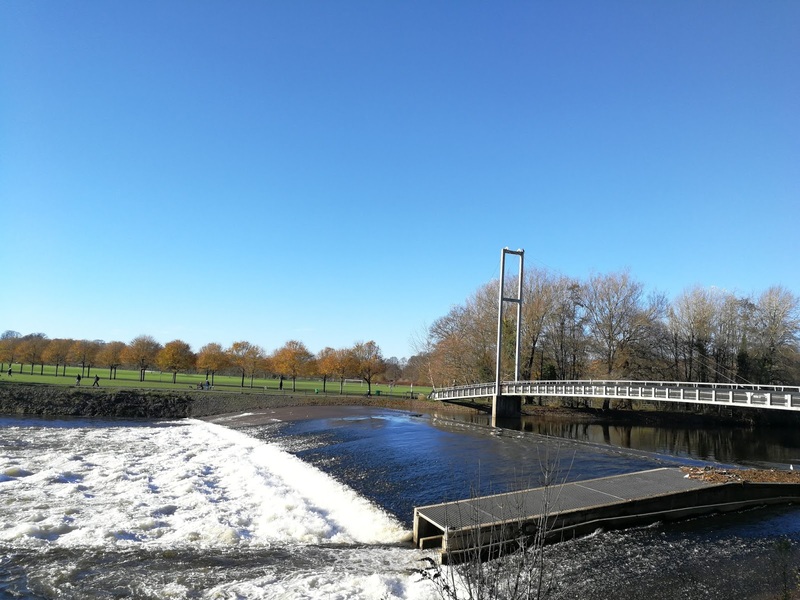 After cowering away from running for years, I finally joined a running team in University and completed my first 5K run in Bute Park that very same day. Needless to say, I felt absolutely incredible afterwards, it is quite the achievement for me. I then went on to complete an 8K run on Thursday evening and a 3.5K run yesterday, phew. I've ran so much the past three days mainly because I'm getting a kick out of it, really enjoying myself. The fact that my running route is absolutely beautiful is a bonus. What makes it better is that I'm not running on my own, it's becoming more of a social thing which is great for the mind. Keeping fit with friends, my idea of a great afternoon or evening. I have found something I truly enjoy. Now lets talk breakfast, oats topped with fruits and seeds is the ultimate breakfast combination. This easy bowl is packed with nutrients, will keep you energised and gets you fueled up for the day ahead. As well as being delicious and absolutely good for you, these kinds of breakfasts are so easy to make. Looking for convenience, this one's for you. Quick, effortless and nutritious, this stir fry is a great way to get in Micronutrients; you know the body's miniscule helpers that rarely ever come up in conversation. I'm talking Vitamins, Minerals, trace elements like Riboflavin, Zinc, Copper, Phosphorous, shall I go on? Just because they are small and are not spoken of nearly as much as macronutrients (Carbohydrates, Fats, Protein) does not mean they are unimportant. Society seems so focused on macronutrients but what about the little guys? Micronutrients are the essential building blocks of a healthy body, mind and bones, fruits and vegetables are excellent sources. They are essential because the human body cannot produce them and so they can be obtained through diet. Even though they are required in very small amounts, their complete absence would have some serious effects. For all the metabolic processes to take place successfully within the body, Micronutrients are needed. Fancy indulging in the little guys more often? 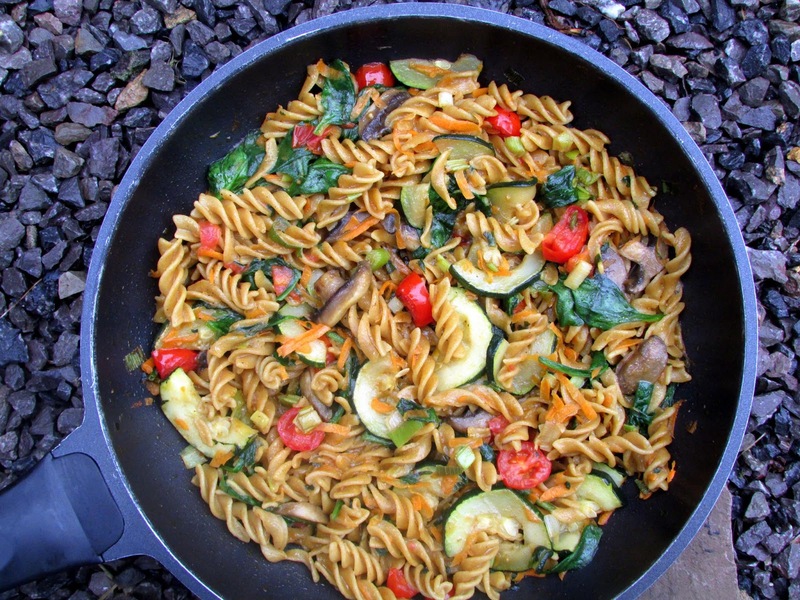 This stir fry might just be what you're looking for. A restaurant whose main focus is offering a wide variety of seafood, FINALLY! Say hello to the Seafood Shack, a venue that launched June 2017. I'm not exactly seafood's biggest fan but after contemplating a visit for a while, I took the plunge. Well, I'd be lying if I said it was my idea. My boyfriend is a huge 'sea foodie' and so it was only inevitable that I'd end up walking through its doors with seven other people. The quality as well as the food choice was excellent, all offered with a burst of flavour and style. With its gorgeous decor, an open kitchen so you can see how meticulous the chefs are, good portion sizes and relaxed atmosphere, Seafood Shack is a restaurant that's definitely worth a visit. If like me, you're not a seafood fan, they have other options on offer like Steak and beef burgers, you're definitely not limited when it comes to choice. But as with anything, there were some bad points that I will discuss in more detail. Who knew mini marshmallows would make a brilliant extra topping for my Oats breakfast bowl? When you work so hard, you deserve a treat every now and then; in my case marshmallows suffice. This has made it as one of my all time favourites because of all the colours, it's amazing how we eat with our eyes before our mouths. Surely its a crime for there to also be so much nutritional goodness in one bowl *phew*. Oats have been my go to breakfast for years (sometimes I feel like that's all I eat) mainly because of their high fiber content and of course, they are very convenient. A breakfast that takes just under 5 minutes to prepare in this day and age is a winner in my book. Since this bowl contains lots of apples, let's talk about the apple. Apples are actually my favourite fruit, their crunchiness wins me over every time. They are rich in flavanoids, important antioxidants and dietary fiber. Research conducted by Havard back in 2016 showed that increasing your intake of foods like apples and blueberries can help with weight control. The research was published in the British Medical Journal and you can read it here. Good ol' apples are an easy go-to snack and since they are about 85% water, they help fill you up with little calories. Say goodbye to that chocolate bar, grab an apple instead. Happy November! I'm kicking off this new month with some breakfast inspiration in collaboration with Rachel's Organic. It's grey, its cold and so it only seems right to start the day with a nice, warm bowl of porridge. Apart from being versatile; Oat bran is a great source of Dietary Fibre, an essential nutrient that enables the gut to function normally. Dietary Fibre includes carbohydrates called Oligosaccharides (a carbohydrate whose molecules are composed of up to 10 monomer units), Polysaccharides (a carbohydrate whose molecules are composed of many monosaccharide units) and Lignin. According to the British Dietetic Association (2016), the average adult in the UK only consumes 60% (18g) of their daily recommended fibre intake which should be 30g/day. It's important to try and reach that intake of 30g/day as part of your balanced diet and foods like oat bran, potatoes with skin, pasta, brown rice, whole grain bread etc are excellent choices for fiber. 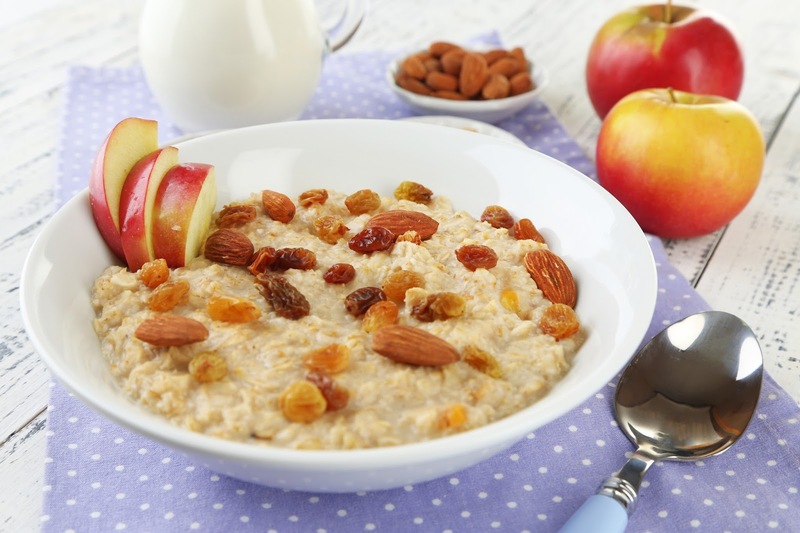 This apple and raising oat bran porridge offers a nutritious breakfast that keeps you going until lunchtime. No more snacking, just a great tasting, fibre rich breakfast.